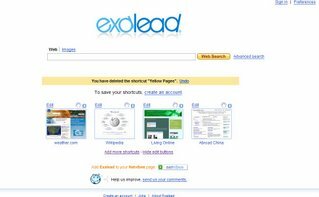 Exalead is a search site, which offers you new tools that allow you to find the information you seek on the Web quicker. 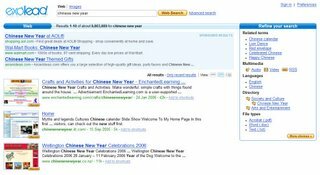 It has two kind of search option: web search and image search. On Exalead main page you can add shortcuts for all your favorites sites/blogs, It's really cool. When you search something it will show you snapshot of each website. You also can preview result without open another window.